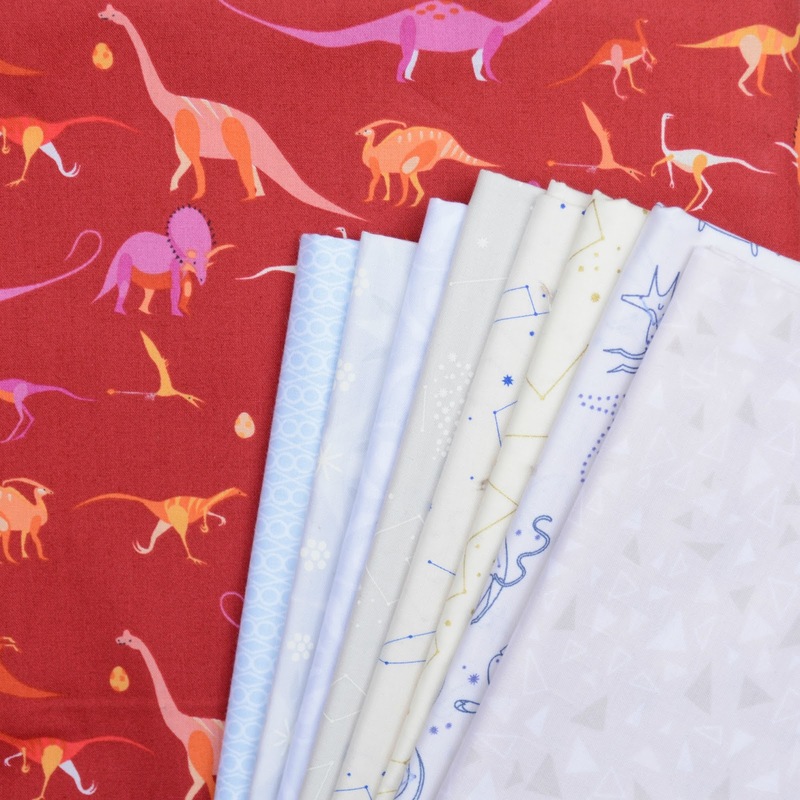 I was super stoked to find a bolt of the red dinosaur print from the Natural History collection as it will make the perfect backing fabric for the bundle of fat quarters I shared last week. It seems like the universe is telling me that I need to make a Lizzy House quilt. A quick post to share my completed goal for the Elm Street Quilts April One Monthly Goal link-up; I turning the contents of my blue scrap bin into neonatal quilts for the Very Snuggly Quilts program. 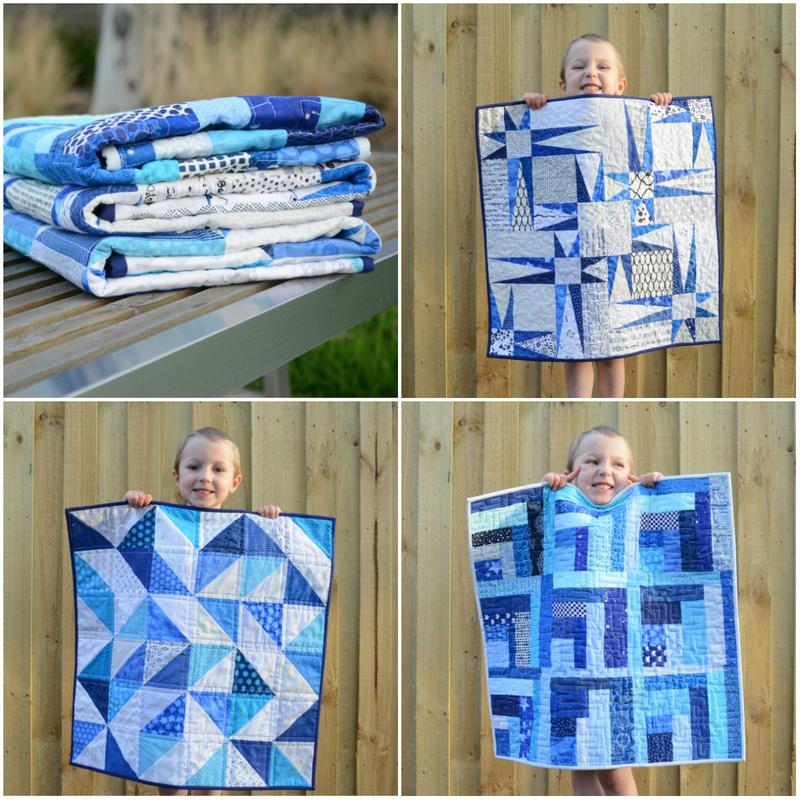 I managed to make three little quilts. For this week's Sunday Stash I'm sharing some awesome happy mail that arrived during the week. 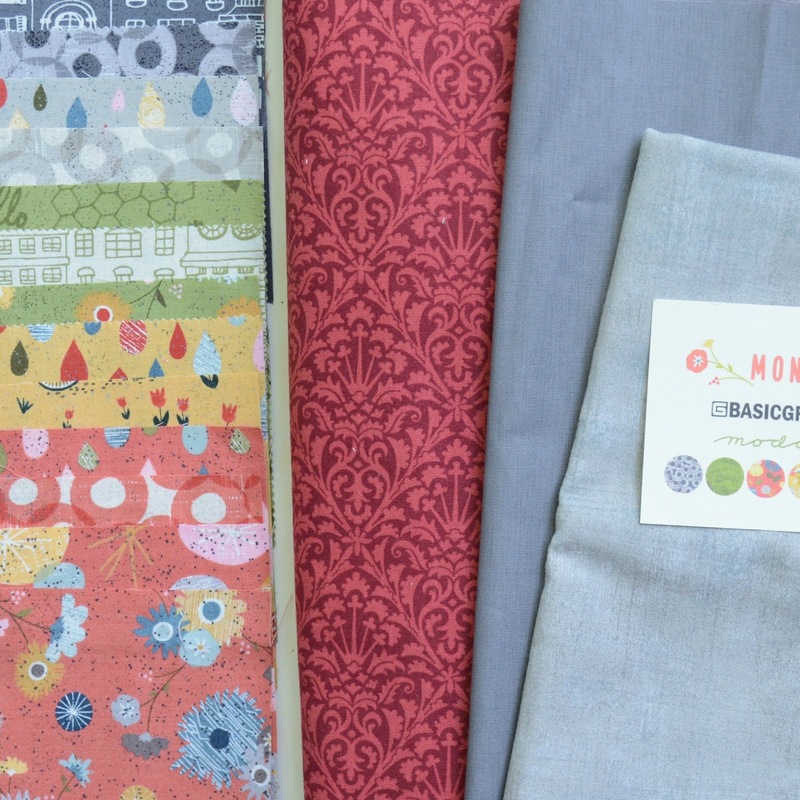 Earlier this year I was extremely fortunate to win a bundle of Lizzy House FQs in an instagram giveaway by Vicky of Veni Vidi Vicky Quilts. 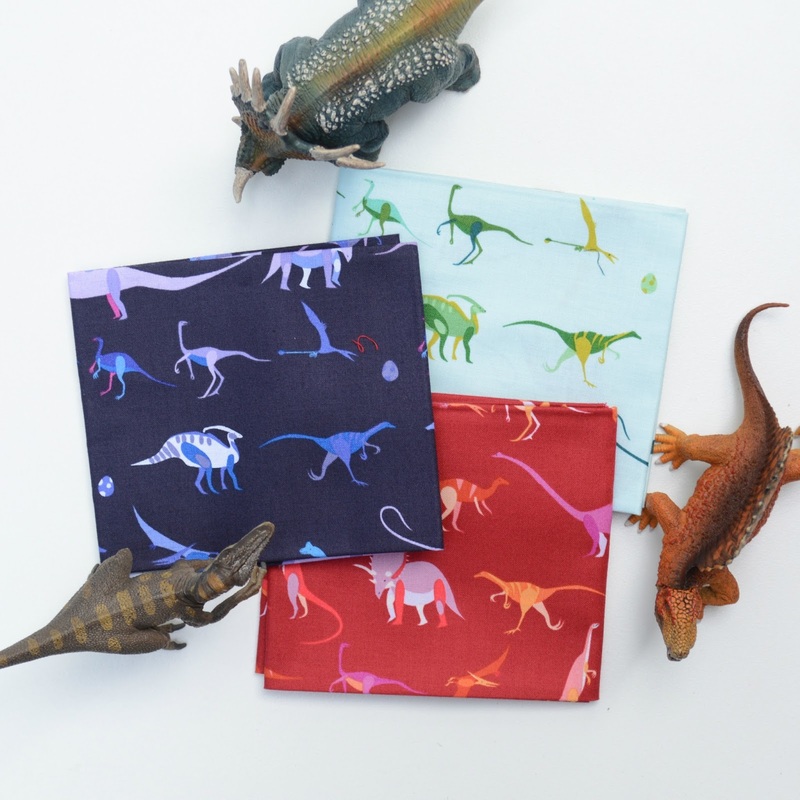 The bundle included all of the prints from the Natural History collection and a few others. I feel so incredibly lucky to win this collection and can't wait to make something with it. 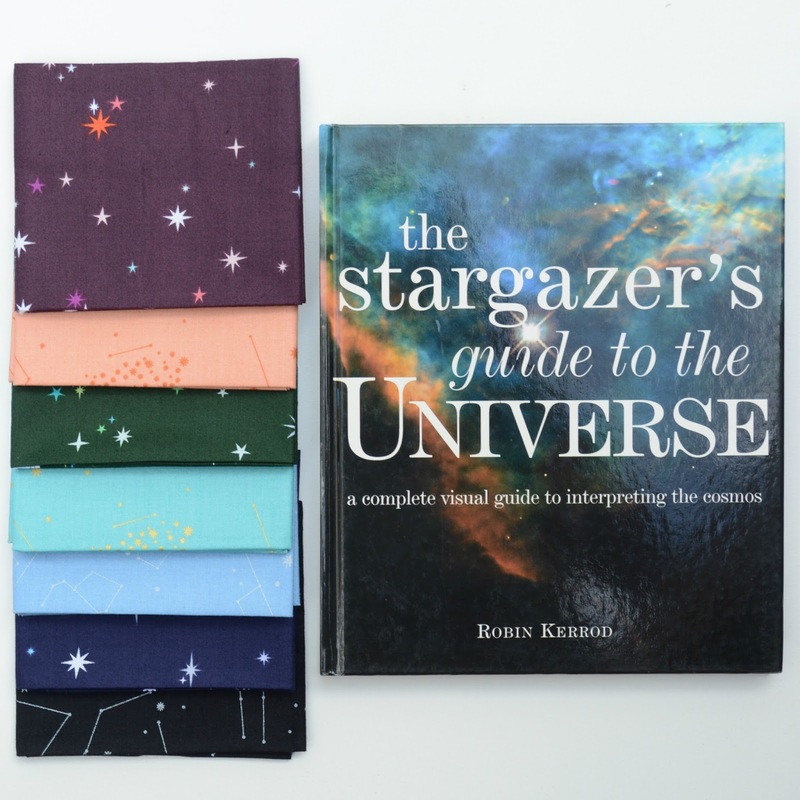 ...as are the star themed prints (his current obsession is the solar system). 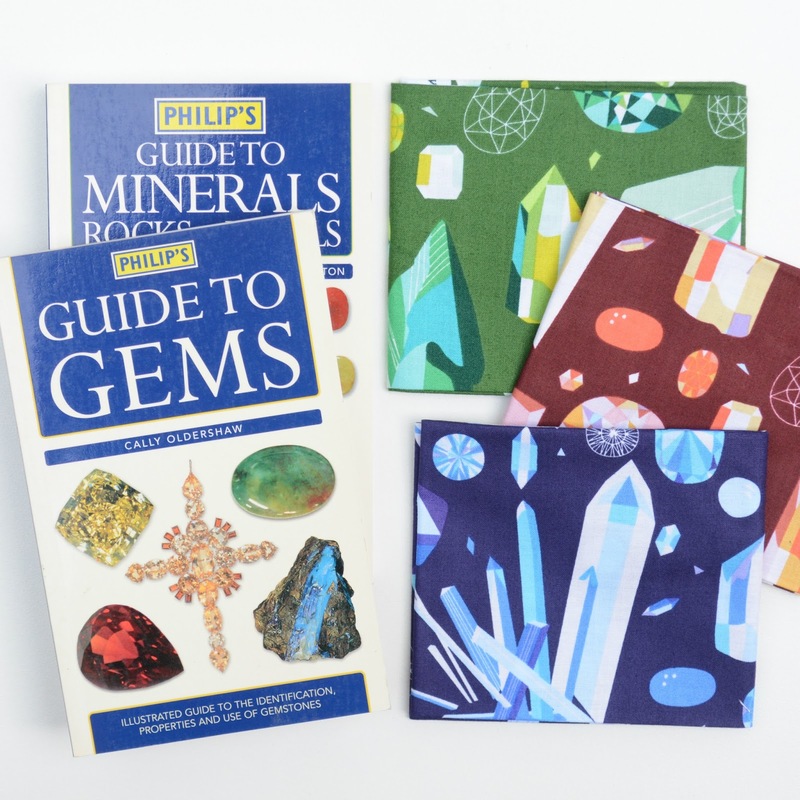 My husband thinks the gemstone prints are pretty cool too. 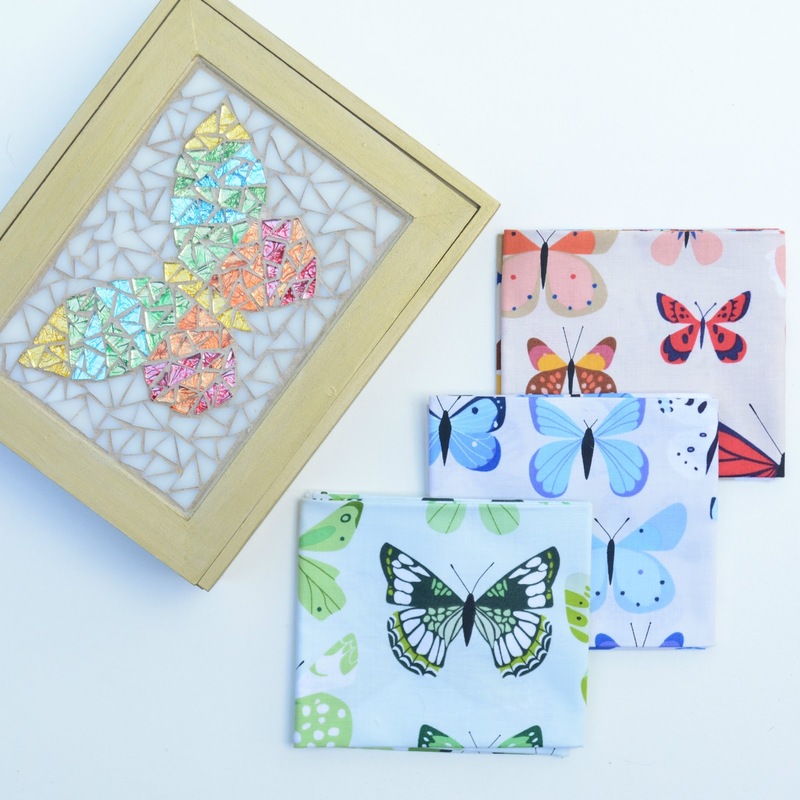 Personally, I love the butterflies and will probably have a hard time cutting them up. I'm still blown away by the fact that out of almost 1,000 entries, I was the randomly chosen winner. Lucky me! Now that I am on maternity leave I've been able to catch up on a few bee blocks and other small projects. One project that was high on my list of proposed finishes for the next few months was to make something out of the Sew Royal block that I made for the Honey Pot Bee. For this block I used the Crystal Crown Mod (designed by Heulwen Price of The Itinerant Chemist) to make a rainbow of foundation paper-pieced jewels. 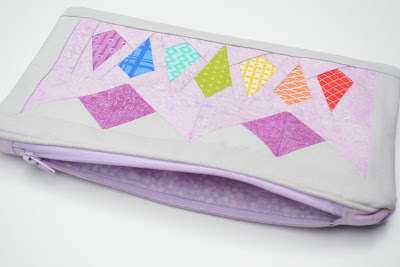 I turned my finished block into a simple zipper pouch my my niece (who loves purple and princesses). For the back of the pouch I used a cute purple crown print I had in my stash. I'm really pleased with how it turned out and am glad to be able to tick another (albeit small) project off the long WIP list. Just a quick post to share the blocks I made for our April Queen Bee, Erin. Erin requested the Tic Tac Toe block in saturated colours (in all colours of the rainbow) with pale grey and white tone-on-tone background. 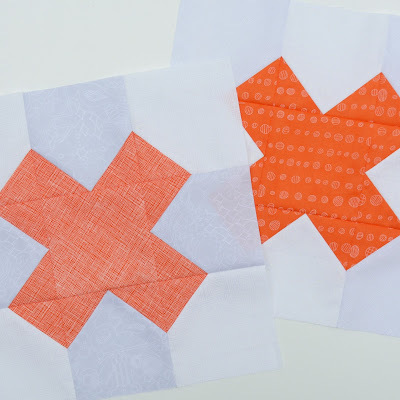 I made her a couple of blocks in some orange prints by Carolyn Friedlander (one of her favourite designers). 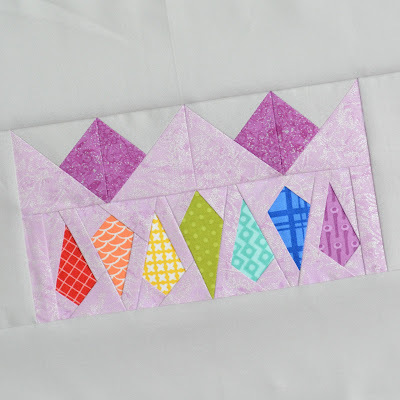 I love this block - so quick and easy to put together! Just a super quick post to share my Sunday Stash for last week. I've just returned back home from a short road trip to Canberra and back for the Easter long weekend, and (as usual) I hit up some Spotlight stores along the way (for those in the US, Spotlight is the equivalent of Jo-Ann's). I love visiting Spotlight stores outside mthe Melbourne area as I usually find the most unexpected treasures. Like these awesome Elizabeth Hartman prints for only $5/m! On the way home I also found some Bonnie and Camille and Elizabeth Olwen prints that I will share some other time (after I've had a chance to take some pretty pictures). I hope everyone had a fabulous fabric-filled Easter. 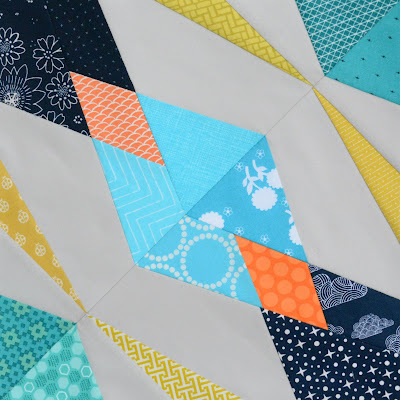 The mid-month reveal is now up on the SBT50 challenge blog. 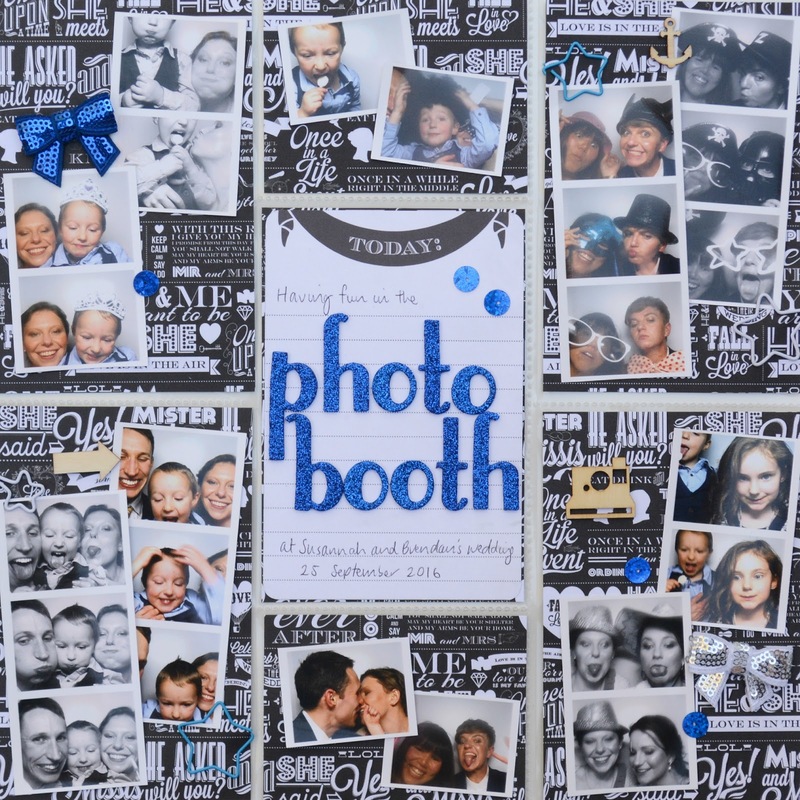 This month we have fun moodboard challenge to play along with. 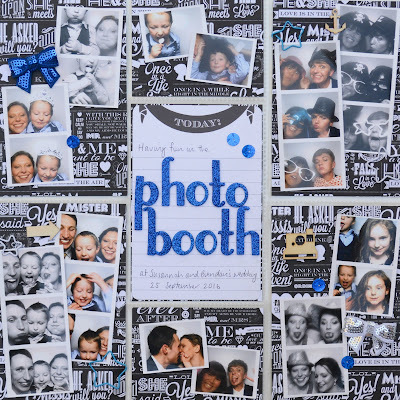 For this challenge I made a pocket page featuring some photo booth pics from my sister's wedding last year. I've added sequin bows, star-shaped paperclips and wood veneer shapes including an anchor and an arrow. If you look closely at the background paper you'll also find the word "LOL" and some diamonds. As always, you've got until the end of the month to enter and can make a layout, pocket page, card or OTP project as long as it meets the challenge requirements. 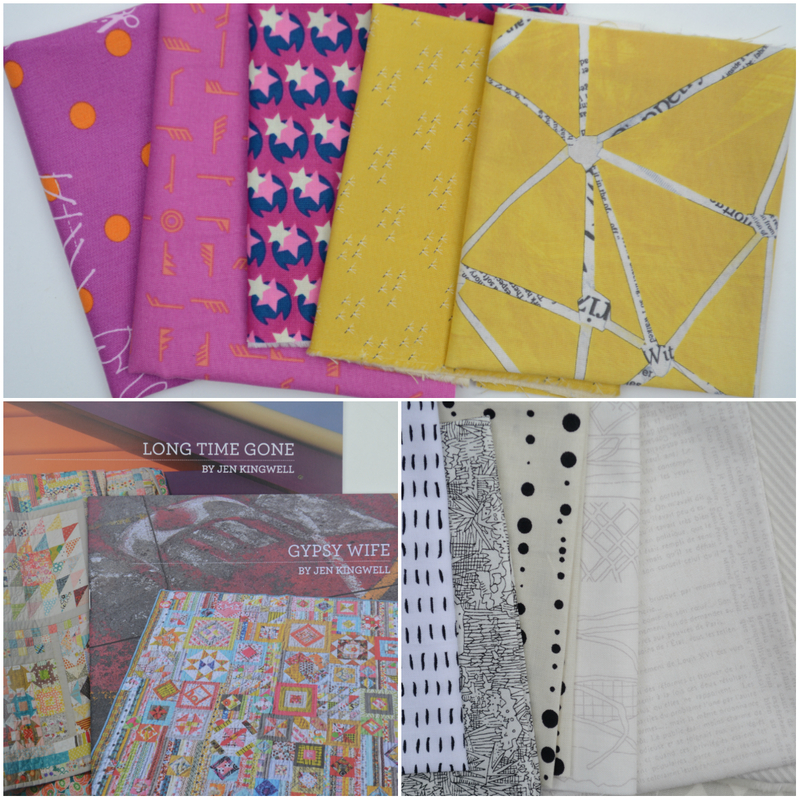 Head over to the SBT50 blog for all the details and lots more Design Team examples. We can't wait to see what you create. Earlier this year my husband suggested that we should make a quilt for his mother. I was reluctant to make a quilt for her (mostly because she and I have completely different tastes in colour and the fact that I am 7 months pregnant with twins), but my husband offered to pick the fabric and do all the basting. True to his word, my husband made all the fabric selections. He choose a layer cake of Mon Ami by Basic Grey that I had in my stash and even took a trip to Spotlight to pick up the background and backing fabric. Because it needed to be done in a hurry I chose a super simple design similar to a granny square. It only took a couple of days of cutting and chain piecing to put the quilt top together. My husband did an awesome job of pin-basting (and I made a mental note to outsource this step more often in the future). For the quilting I experimented with some free-motion clam shells. 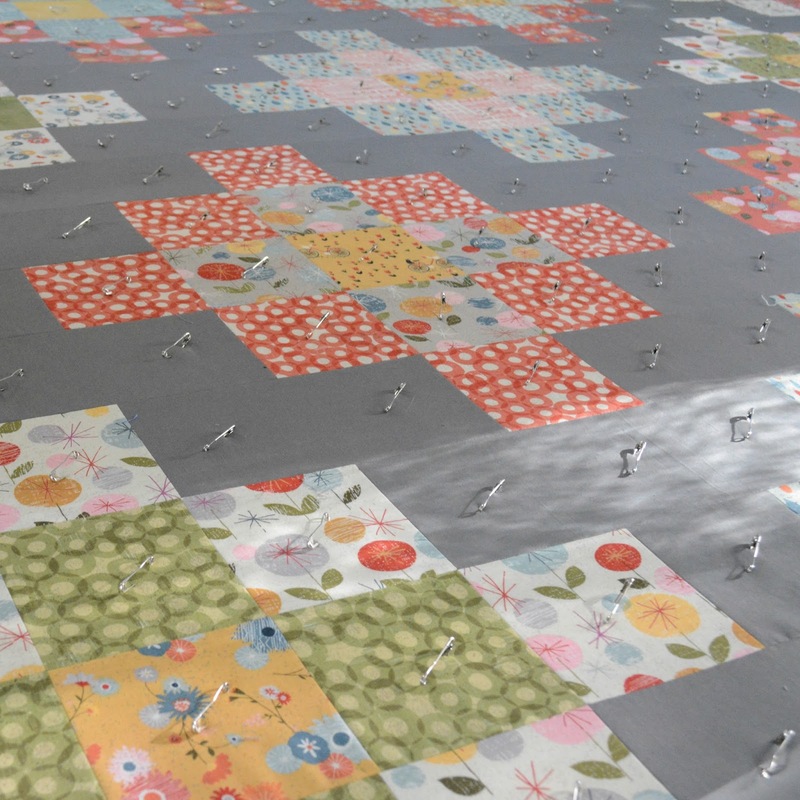 As expected, quilting a queen-sized quilt on a domestic machine while heavily pregnant is hard work! 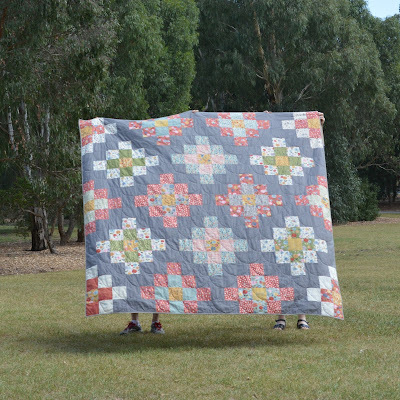 The weather in Melbourne has been a bit crappy so we had to settle for a quick 'quilts with feet' shot in the park in between rain showers. It's probably my personal best for making a quilt in record time. It's also my first finish from my list of proposed finishes for quarter 2 of the 2017 finish-a-long! 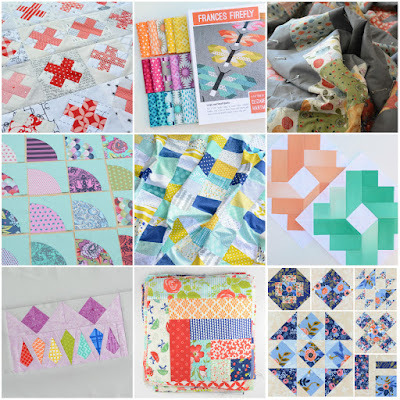 Just a quick post to share some new additions to my stash for this week's Sunday Stash. 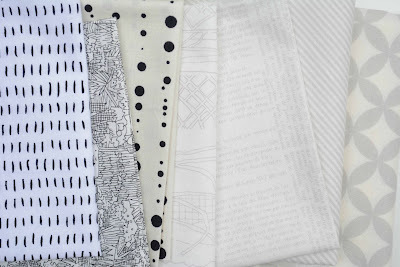 Earlier this week I made made a quick visit to the Darn Cheap Fabrics store in Heidelberg. 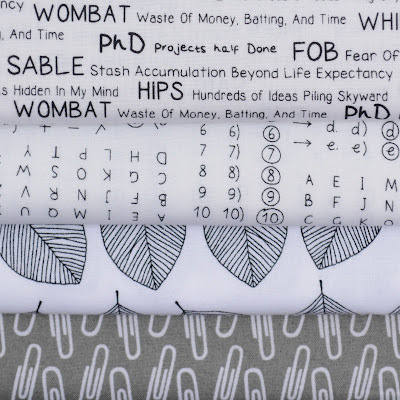 I'd only found out about these stores recently from members of my bee hive quilting bee and was surprised to find that one of the three Melbourne stores is only a few minutes from my obstetrician's rooms. 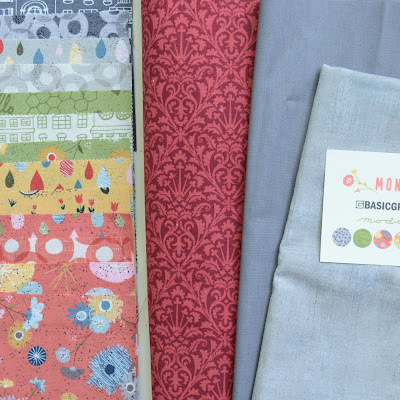 They don't have a huge range of patchwork fabrics, but what they do have is darn cheap. I found these Ella Blue prints on the $2/m pile. 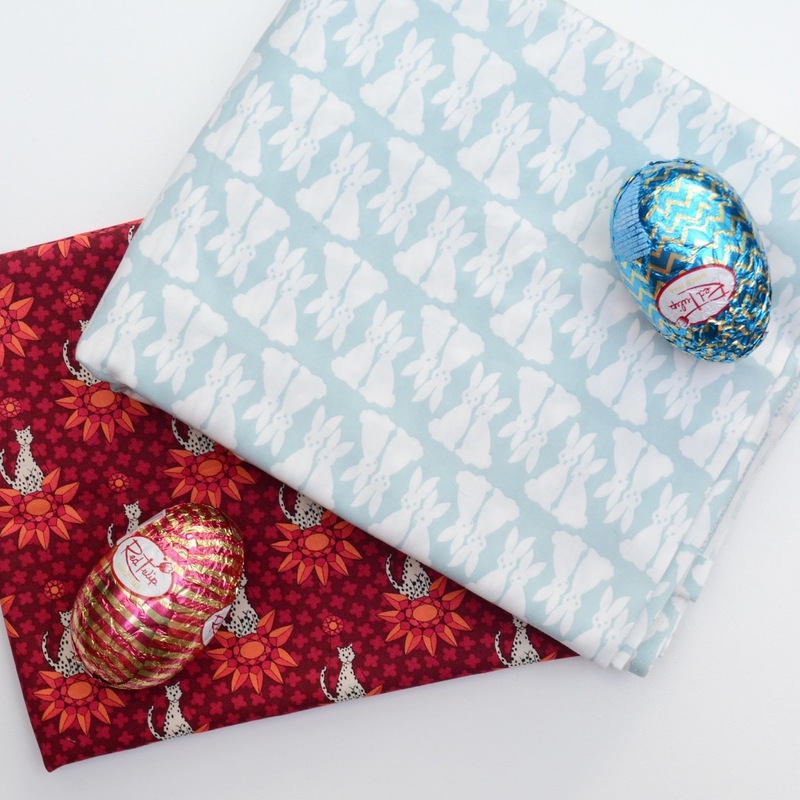 I though they would make great backings for baby quilts so I picked up a metre of each. I also picked up some bright tone-on-tone Lecien prints for only $8.50/m. 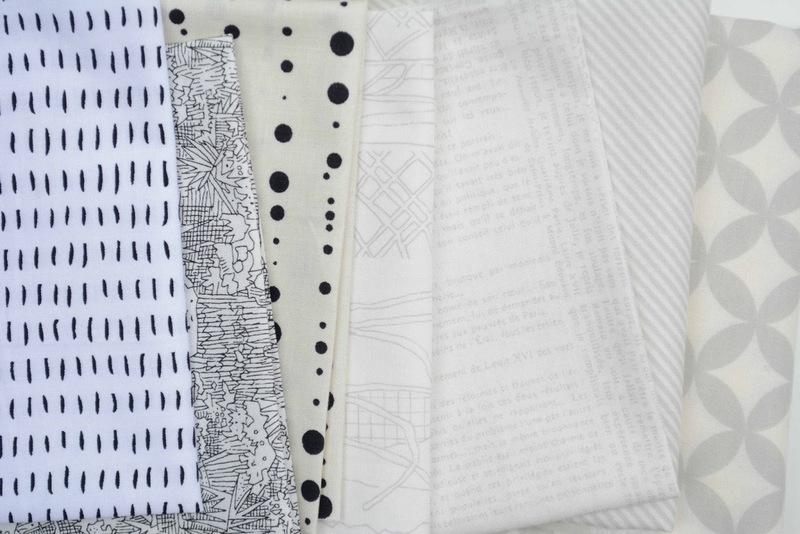 Also on the $8.50/m shelf were these Art Gallery Fabric prints. They are a bit softer than my usual colour choices but I thought they might come in handy for bee blocks etc. I'm now having weekly check ups with my obstetrician (who tends to run late) so I suspect I'll be spending a bit more time in that store. It's hard to believe that we are already into the second quarter of the year! The first quarter has really flown by. Today I'm linking up my list of proposed finishes for quarter 2 of the 2017 Finish-a-long. Be warned; this is going to be a long list. 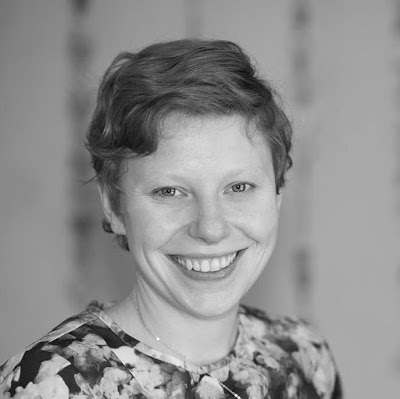 I'm linking up a whole heap of projects because I'm hopeful that the next three months will be super productive because I've just started maternity leave and I'm optimistically assuming that 1) my babies won't arrive for another 7-8 weeks and 2) they will be excellent sleepers and 3) I will feel fantastic both before and after delivery. I thought I'd start with a couple of small (non-quilt) projects I have on the go. 1. Bonnie and Camille raspberry kisses pillow - I'm making a pillow for my red rocking chair using a variety of Bonnie and Camille prints. So far I have made the pillow top but need to finish turning it into a pillow cover. 2. Les Fleurs pillow - I made six 6" blocks for the quilt-non sampler earlier this year from prints from the Les Fleurs collection. I'm planning to make three more 6" blocks and turn it into a pillow for my husband's Aunty. 3. 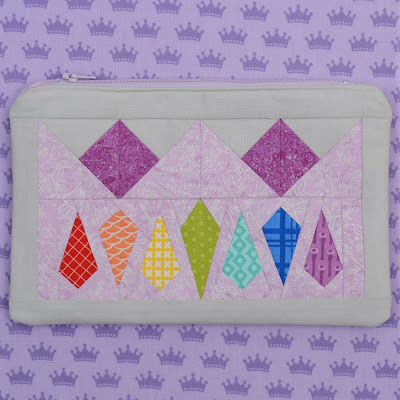 Princess pouch - I am planning to turn my March Honey Pot Bee block into a zipper pouch for my niece (who loves purple and princesses). 4. Storage trays - I've been hunting for the right size tray to store my rainbow fat eighths for a while with no luck so I've decided to make my own from cardboard, fabric scraps and Mod Podge. I've finalised the design and have made a prototype. I'm hoping to make a whole series of these (one for each colour). My blue scrap bin is overflowing so I'm using up some of my blue scraps by making some neonatal boy quilts for the Very Snuggly Quilts program. 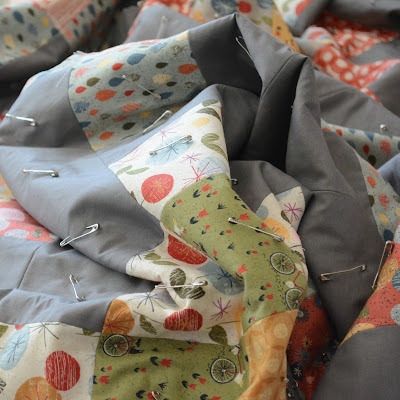 I've got three quilts in progress, with plans for a fourth. I love rainbow tone-on-tone prints and have a tendency to start (but not finish) projects that suit these types of prints. 1. Star flower quilt - I made an extra large version of the star flower block for the Honey Pot Bee in January and have plans to turn it into a children's quilt. 2. Circle of sparrows mini quilt - Another rainbow block that has been sitting in my WIP box for a long time that could be turned into a cute little charity quilt. 3. Rainbow rail fence - Ages ago I cut up a whole bunch of rainbow tone-on-tone prints for a rainbow rail fence quilt that I never got around to making. I hoping to use up this box of strips by making one or more charity quilts. 4. I-spy quilt - I've got a bunch of fussy cut squares and rainbow tone of tone squares cut and templates printed, ready to mass produce cute economy blocks. I really need to downsize my craft stash (to make space for baby things) so I'm hoping to turn some abandoned WIPs and excess fabric into charity quilts. 1. Hourglass quilt - I've got a bunch of hourglass blocks leftover from a project a few years ago. If I make a few more I'll be able to turn them into a decent-sized charity quilt. 2. Quatro mini quilt - I've also got a few leftover blocks from making a Quatro quilt a few years ago that I hope to turn into a charity quilt. 3. Robot quilt - I have heaps of spare FQs from this collection that would make a nice quilt for a little boy. I'm planning to use the Tick Tock pattern from Alison Harris' book Growing Up Modern. 4. 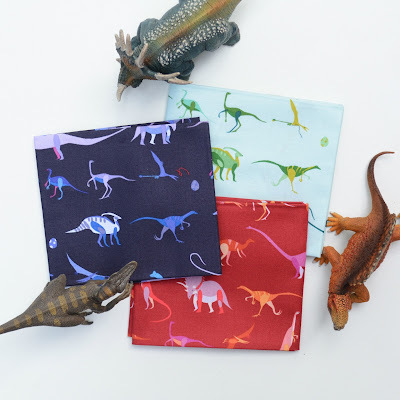 Dinosaur quilt - I also have heaps of FQs from this collection that I would love to use up. 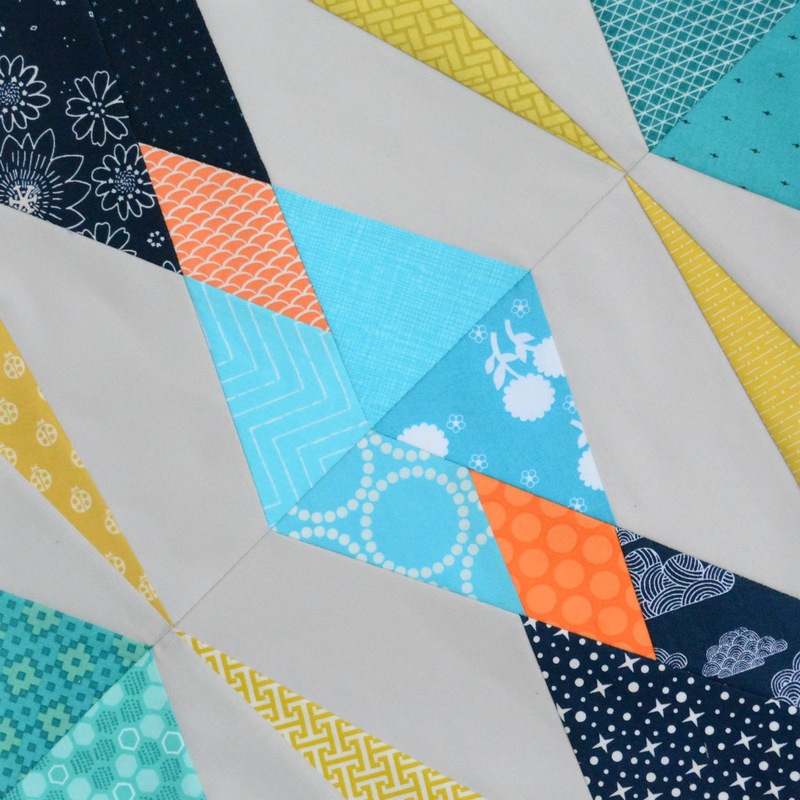 I'm planning to make a simplified version of the Breezy pattern from Growing Up Modern. I've also started (but not finished) a few quilts for the twins I am expecting in early June. 1. Frances Firefly mini 1 - I've selected the precut strips for the baby girl's quilt and am partway through my first block. 2. Frances Firefly mini 2 - I've also selected the precut strips for the baby boy's but haven't started sewing yet. 3. Autumn chain mini (warm colours) - I've got a pile of nine Autumn chain blocks ready to turn into a mini quit. 4. Autumn chain mini (cool colours) - I've cut all the pieces for nine Autumn chain blocks in aqua and teal, ready for a massive chain piecing session. Since the babies will be getting new quilts, I'm also hoping to finish a few quilts that I have on the go for Mr. 4. 1. 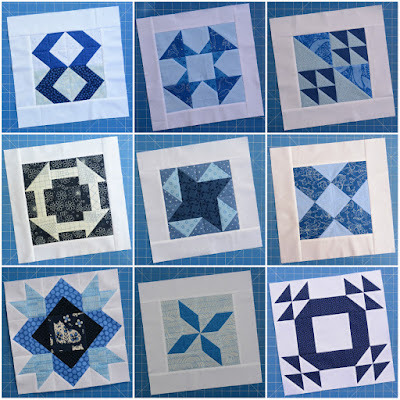 Economy block truck quilt - this one has been a WIP for a long time (since Nana bought the blue dump truck print home from Germany a few years ago). 2. Disney quilt - Rupert has been collecting some prints from his favourite Disney movies and I've promised to turn them into a quilt for him. I'm planning a simple brick design to show off the large scale prints. 3. Rocket quilt - the little man is currently obsessed with space and the Solar System so I'm planning to make him a slightly larger version of this quilt. I've also got a few quilts for family and friends on the go that I plan to finish this quarter. 1. Granny's quilt - On the top of my to-do list is to finish a quilt for my mother-in-law. It's almost finished - I just need to finish stitching down the binding by hand. 2. Oliver's quilt - Another quilt that just needs to be bound is a quilt for my friend's little boy made from improv tumbling blocks. 3. 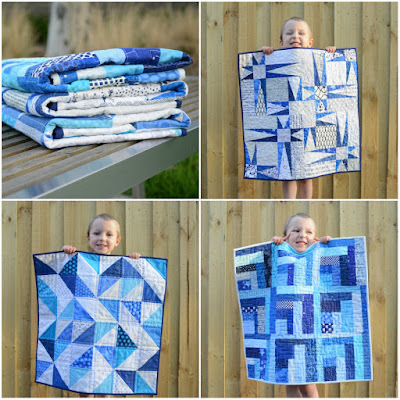 Leo's quilt - I'm planning to make a similar imrpov tumbling block quilt for my nephew Leo. I've pulled all the fabric and have started cutting the strips. 4. Kel's baby's quilt - One of my friends is expecting a little girl (also in June). I'm planning to make her a Hazel Hedgehog baby quilt. I've selected the prints and have cut all the pieces, ready to sew. 1. Icecream soda quilt - I'm planning to do quite a bit of hand sewing over the next few months so I've been preparing pieces to make an icecream soda quilt. I've stitched a few blossoms and have the pieces for another 20 or so blossoms basted and ready to go. 2. Scrappy DS quilt - I'm in love with Erica Jackman's scrappy DS quilt and I'm planning to make one the same. 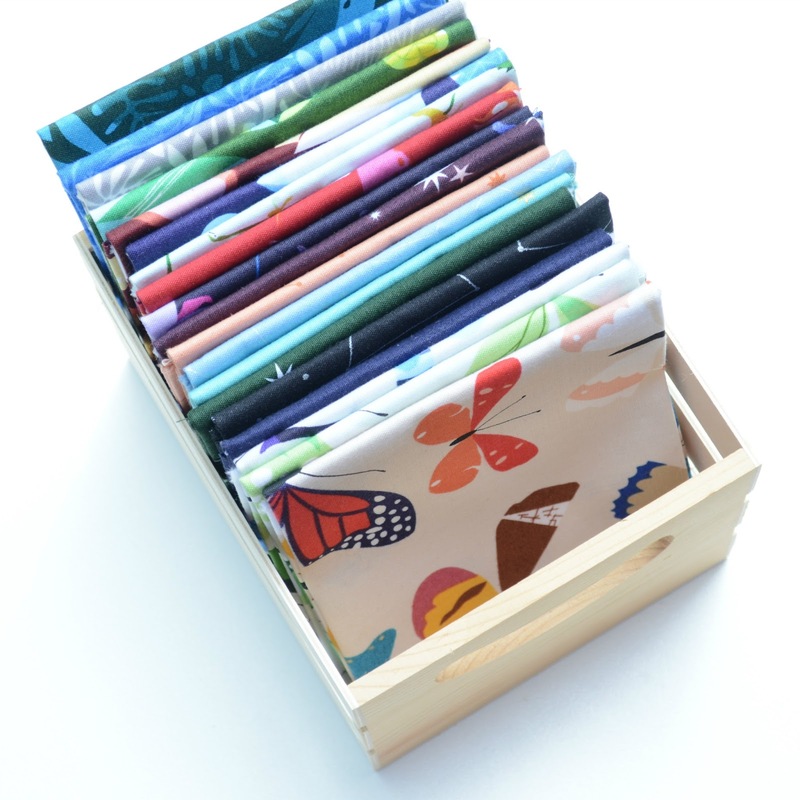 I've cut over 350 3.5" squares from almost 200 different prints ready to put together. 3. Star kisses project - I've also cut the pieces to make several star kisses blocks, which I hope to turn into a pillow or baby quilt. 1. Swoon quilt - I've made 5 out of the 9 blocks. I'm loving how they are turning out but the blocks take a long time to make so this quilt keeps getting put on the back burner. 2. Freckles quilt - One of my goals for this year is to master curved piecing. I've started making the Tula Pink Freckles quilt but still have a long way to go. 3. Moxie wall hanging - Another WIP featuring Tula Pink prints and curves is the Moxie wall hanging I started a few years ago. 4. Ombre gems quilt - At the moment I am participating in the ombre gems quilt-a-long (hosted by Emily Dennis). I am way behind (only 3 blocks finished so far) but I am hoping to catch up over the coming weeks. 6. 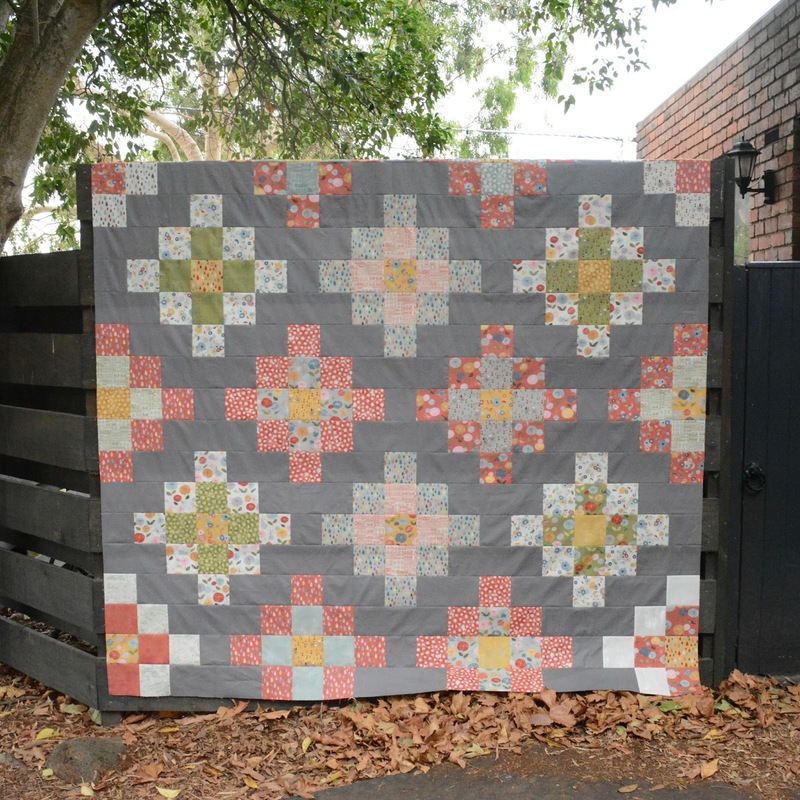 Bonnie and Camille log cabin quilt - This is a recurring item on my proposed finishes lists that I never get around to finishing. I've got a lovely pile of log cabin blocks from a swap ready to turn into a quilt. 7. Glisten quilt - Another Bonnie and Camille WIP I'd love to finish this quarter, especially since we are coming into winter and I'm planning to use flannel for the backing. 8. Paradiso quilt - A quilt I started early last year that I hope to finish soon. I'm probably being overly optimistic (my husband thinks I am completely delusional), but at least by listing all of these I'm keeping my options open. Here's a more realistic collage of what I expect I might get finished. I've got my fingers crossed for a productive quarter 2! Today I'm linking up with the April One Monthy Goal at Elm Street Quilts and sharing one of my goals for this month. For the past couple of months I have been sewing along with the Sewcial Bee Sampler hosted by Maureen Cracknell and Sharon Holland. 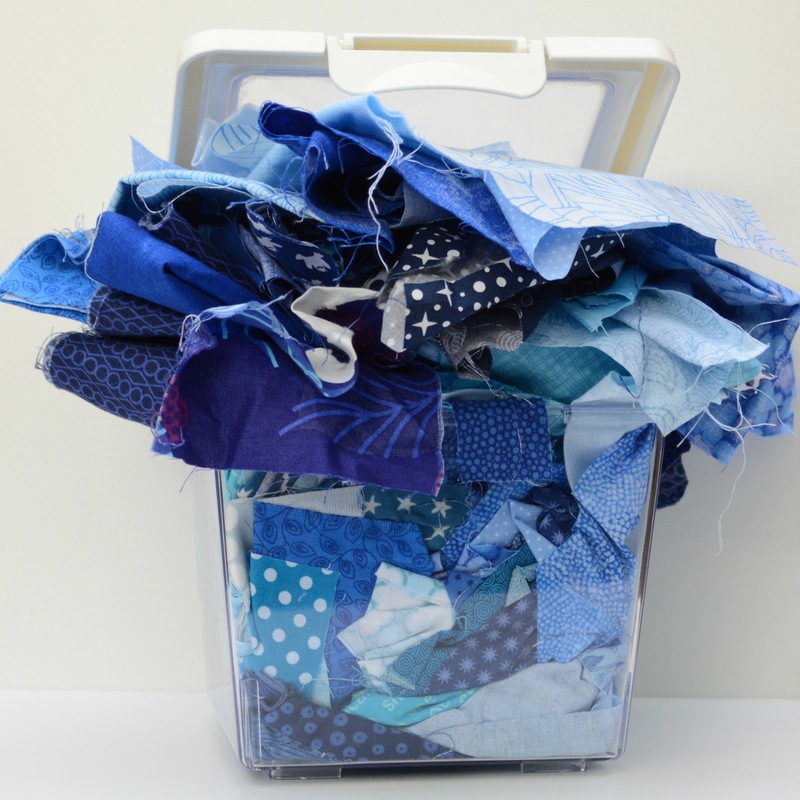 I've been making all my blocks in various blue prints and as a result my blue scrap bin is overflowing. 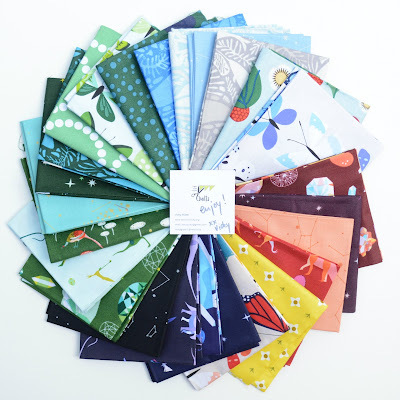 My goal for April is to use up some of these scraps by making some baby quilts for the Very Snuggly Quilts program. 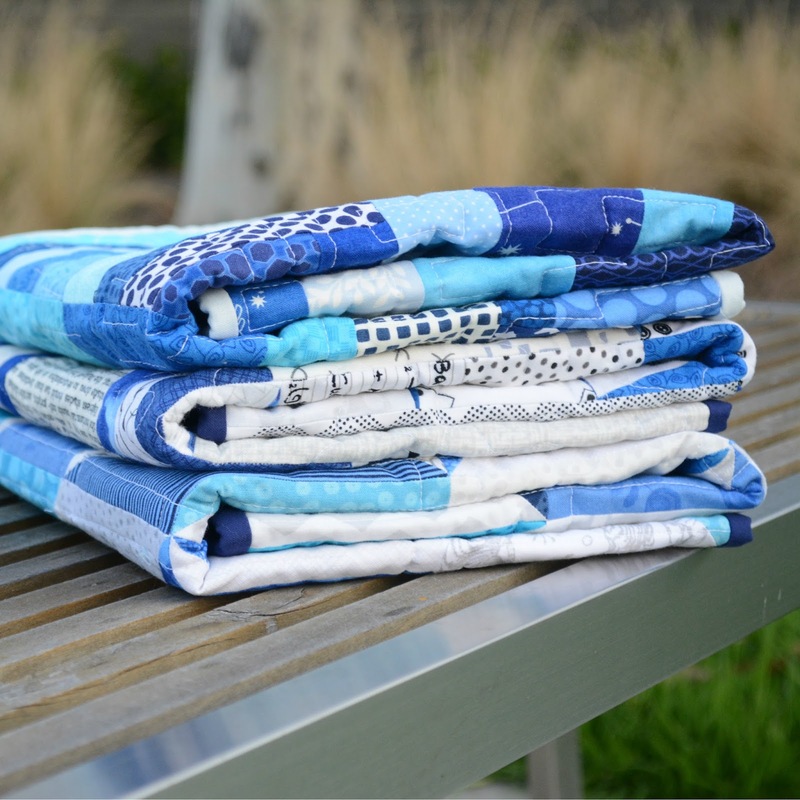 I'm aiming for three neonatal quilts for boys, since that is what they are most in need of at the moment. Hopefully by the end of the month I'll be able to close this bin again and get it back on the shelf. Last week's Sunday Stash is my haul from a visit to Amite Textiles last Saturday. It's a bit out of the way (about 40 minutes drive from home) and I'm trying to be on a fabric diet, but the lure of a 30% off storewide sale was too strong. I also wanted to pick up some of Jen Kingwell's patterns that hare on my quilty bucket list. Here's what I came away with. 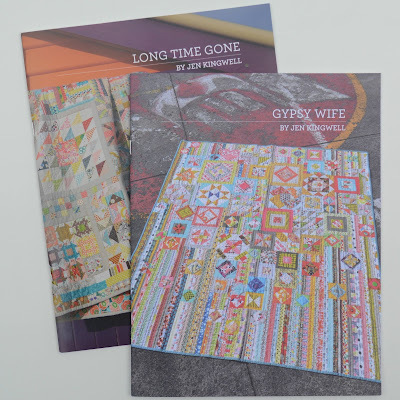 Angie from Gone Angel has announced that she's hosting a Gypsy Wife sew-along later this year and I'm hoping to join in. I also picked up a copy of the Long Time Gone booklet because I saw an almost finished version at a sit and sew day recently and fell in love. While I was in store I also selected some prints for an upcoming bee block. 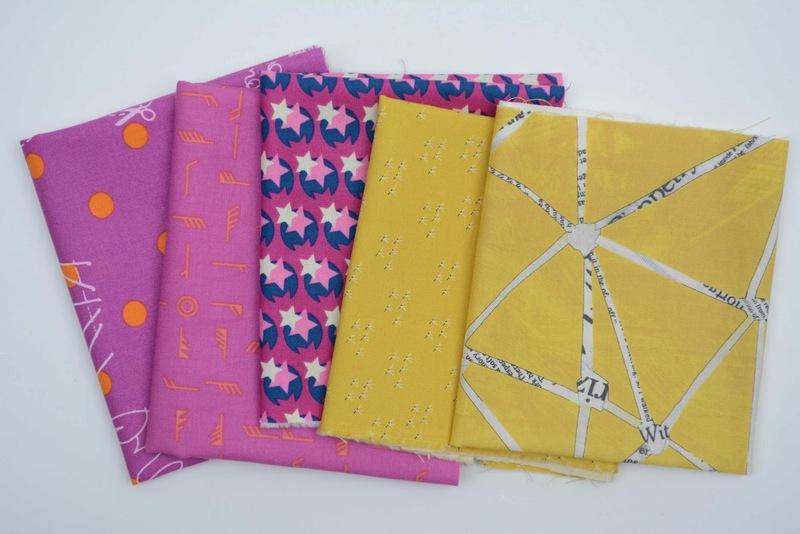 Our May queen (Eleri) has asked for the Wanta Fanta block in a crazy riot of pink, navy and mustard. I'm normally a monochromatic tone-on-tone girl so there aren't a lot of multicolour prints in my stash. 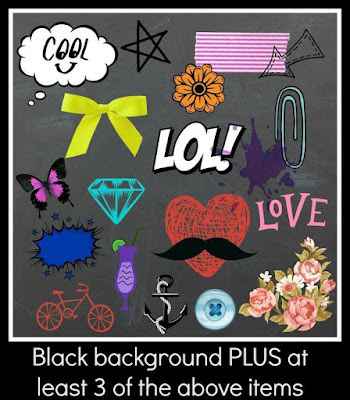 I'm not sure if these quite fit the bill (you can check out Eleri's sample block here), but hopefully they are a step in the right direction. Finally, I grabbed a few more low volume prints because a) they were 30% off and b) you can never have too many low volume neutrals. I'm hoping to use these to make a scrappy Starry Sky block for the April Honey Pot Bee. I've been a bit slack about keeping my blog up to date lately as this past month has been super busy at work. I worked a lot of looooong days last month trying to wrap up everything before I commenced maternity leave. Now that I'm on leave I am hoping to do some serious crafty catching-up. Please don't look too closely at some of those points - this is probably the most complicated block I have ever sewn. I have no doubt that Leanne's finished quilt will look spectacular!